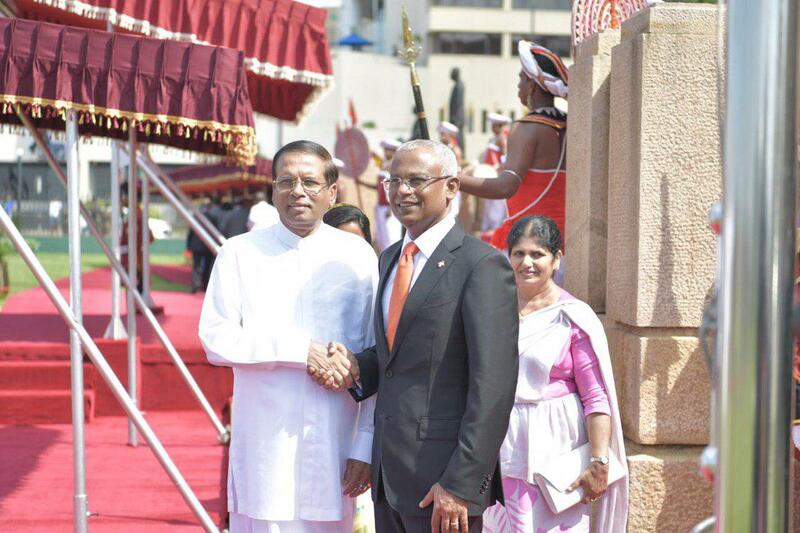 His Excellency, President Ibrahim Mohamed Solih and First Lady Fazna Ahmed received a grand welcome from the Sri Lankan Government, at a ceremony held this morning at the Presidential Secretariat of Sri Lanka. President Solih and First Lady Fazna were escorted to the Presidential Secretariat by a motorcade and mounted escorts, along with cultural performers. They were received by His Excellency, President Maithripala Sirisena and First Lady Jayanthi Pushpa Kumari of Sri Lanka. 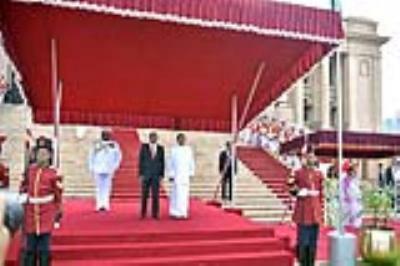 Upon both Presidents ascending the Dais the Sri Lankan Army fired a 21 gun salute in honour of President Solih, and played each country’s national anthem. President Solih then inspected an honour guard accorded to him by the Sri Lankan tri-forces. During the occasion both the Presidents were introduced to senior dignitaries of the other country.